Roughly 500,000 households in New York City don’t know how much electricity they use, nor how much it costs, because they do not have the technology installed to measure electricity consumption– in other words, they are not metered. Residents in most multifamily buildings, where a single meter tracks the building’s electricity use as a whole, do not receive a bill from the utility. Instead, landlords typically include a share of the overall building’s energy use as part of the rent charges. These tenants are at a disadvantage because they lack information about how much electricity they use and a frame of reference for how their consumption impacts the environment. These buildings are referred to as “master metered”– their apartments do not have individual meters but each building has a single meter (and in some cases, a single meter can serve multiple buildings). Buildings like this are found all over New York City, and run the gamut from high-end cooperatives and condos to affordable rental units. The majority were constructed before the 1970s, a time when many builders saw no benefit from the added cost of installing hundreds of meters. Tenants of the Empire State Building and the original World Trade Center, built in 1931 and 1976 respectively, didn’t have meters and the latter didn’t even have light switches. With buildings responsible for over 70 percent of emissions in the city, New York will need to explore all possible options to reduce energy use, and achieve its goal of cutting down greenhouse gas emissions by 80 percent by 2050. These unmetered apartments represent an untapped opportunity well worth exploring. Installing meters in each apartment is one option, and there are two common ways to do this: direct metering or sub-metering. With direct metering, the utility installs its own meters converting all apartments to utility customers. With sub-metering, the building owner is still billed by the utility for the entire building’s electricity use, but it would measure each apartments’ share in total consumption and pass the associated cost on to the tenant. Simply knowing how much energy is being used is a pretty significant energy efficiency measure. According to the New York State Energy Research and Development Authority (NYSERDA) metered apartments use 20 percent less electricity than unmetered ones. And over 100,000 apartments in New York City have been sub-metered since 1989. Those figures are impressive by themselves, but the savings potential could be much larger for unmetered apartments. Existing programs already in place, such as Con Edison’s Smart AC Program, give customers an incentive of $25 to $95 just for signing up. This helps people save money on their bills while relieving stress on the electric grid and reducing the likelihood of outages and equipment wear and tear. Con Edison’s Smart Home Rate Pilot, which will utilize Time Variant Pricing, an approach that allows customers to shift their energy use to times when energy is cleaner and cheaper, could save customers even more money over time. Both of the examples above will benefit the participating customers, the utility, and everyone else connected to the grid. But, they are available only to residents of buildings directly metered by the utility. For sub-metered households, the building owner would determine available options. For the unmetered, these programs and incentives aren’t an option. Without a utility account, or some other way to track their savings, they can’t participate in utility programs. And, they typically aren’t eligible to receive incentives either from their utility or NYSERDA for purchasing energy efficient appliances. So, if the savings are so impressive, why aren’t we metering all apartments? 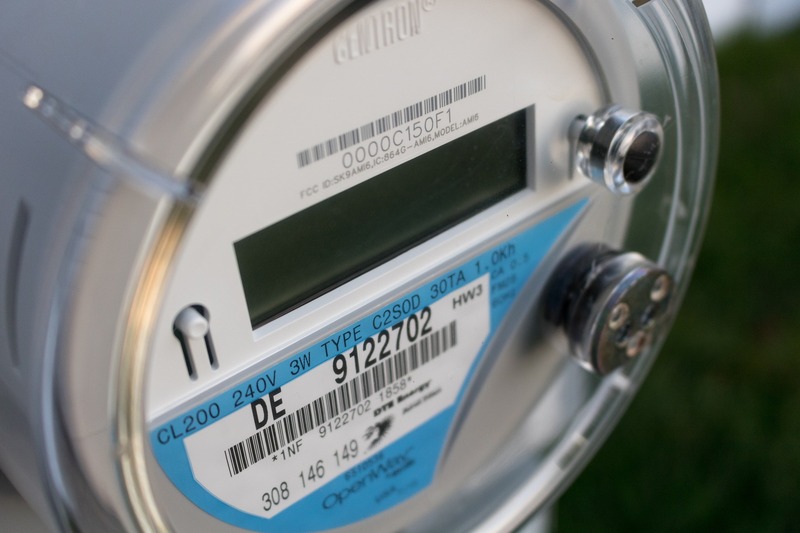 The process for installing meters, either direct or sub-metering, is established in New York State Public Service Law and falls under the purview of the New York State Public Service Commission. Building off that existing framework, the city passed Local Law 88: Lighting Upgrades & Sub-metering (LL88) that requires select unmetered commercial spaces to be metered. The city proposed similar requirements for residential buildings in 2016, but they were not adopted. If New York City were to require meters in multifamily residential buildings, residents would have more options to contribute to energy efficiency and participate in the energy future reimagined by REV. The adage “measure twice, cut once” is timeless and applicable to just about everything. For 20 percent of New York City, we simply can’t measure how much energy is being used, making cuts incredibly difficult. This entry was posted in Clean Energy, New York. Bookmark the permalink. Both comments and trackbacks are currently closed. I agree with your suggestion for metering multifamily buildings, but note that your blog understates the problem. You’re correct that “[multifamily] tenants are at a disadvantage because they lack information about how much electricity they use and a frame of reference for how their consumption impacts the environment.” However, just to clarify, condo/coop owners of multifamily buildings are just as disadvantaged as tenants. Moreover, the problem is more than just a lack of adequate information and frame of reference; master metering also practically eliminates the financial benefits to a multifamily building occupant of reducing energy use. When a tenant or condo/coop owner reduces energy use, the savings are spread among all occupants of a building. The result is that the value of the savings is diluted and the benefit to cost ratio of making improvements is significantly reduced. Thank you for your comment. We agree with the points you make that the issue also applies to condo/coop owners and that incentives for making energy efficiency improvements are significantly reduced for residents in master-metered buildings since they would bear the full cost of their energy efficiency investment but only receive a small portion of the energy cost savings.